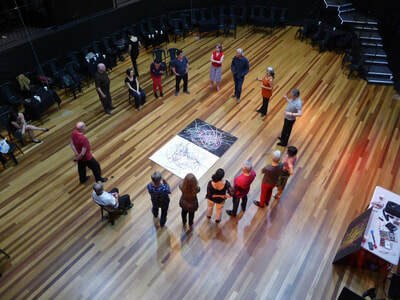 These workshops invite participants to draw using body movement and music. 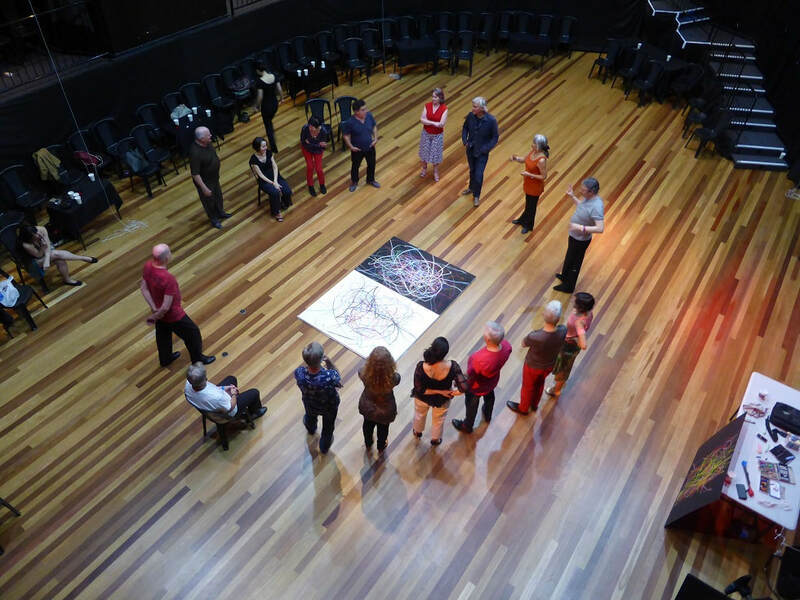 Each workshop is designed to suit the particular event and allows for inclusive discussion and feedback sessions. 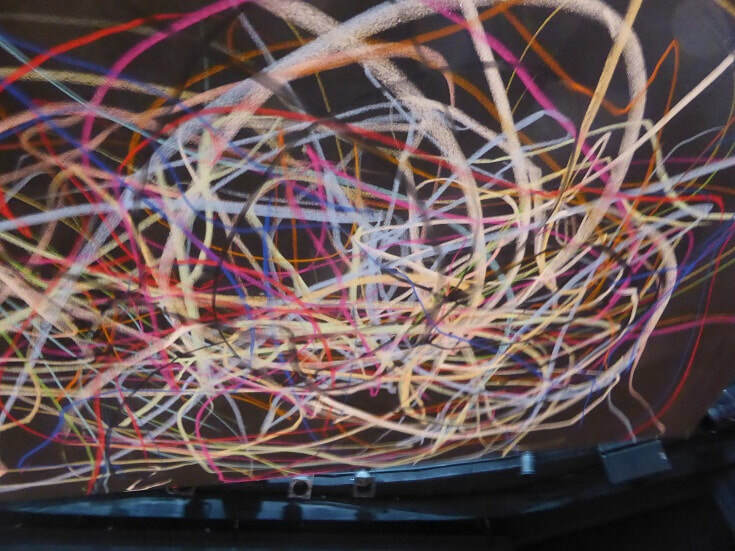 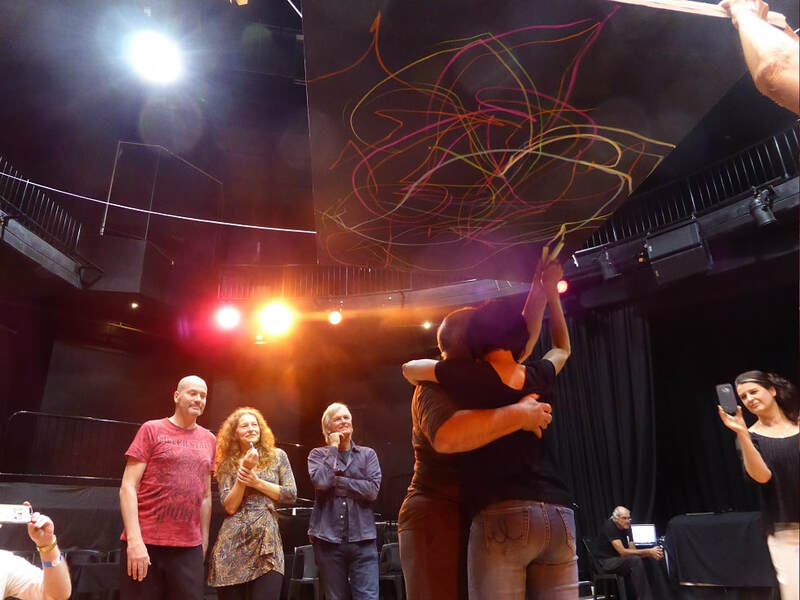 October 2017 The Australian Tango Festival, Sydney "Drawing the Language of Dance"
participants followed the movement of themselves dancing using projection and coloured chalks on canvas.